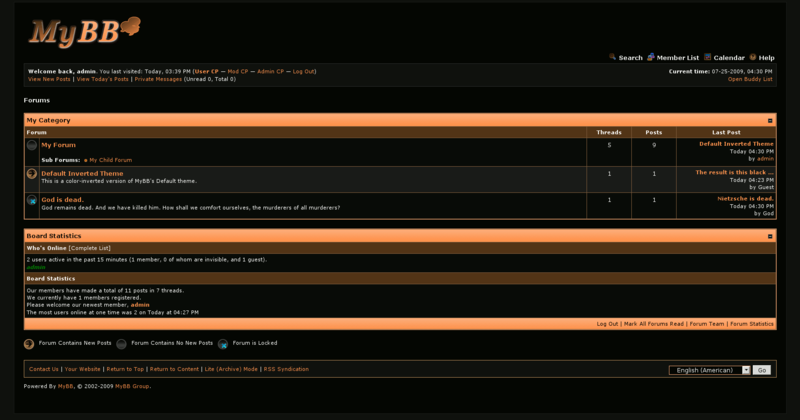 Color inverted version of MyBB's default theme. 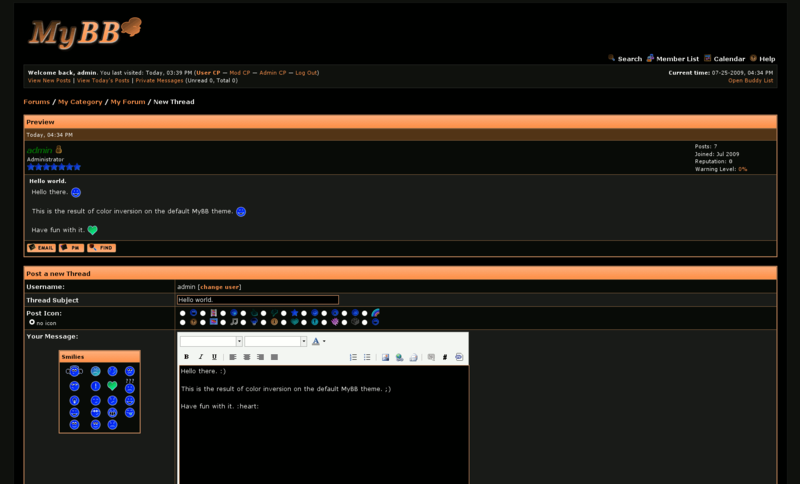 This is the original MyBB Default theme, the only change being that all colors are inverted, resulting in a black / grey / bronze look. The theme archive also contains color inversed versions of the original MyBB icons and smileys, which can be enabled by changing the icon / smiley paths in the Admin CP. 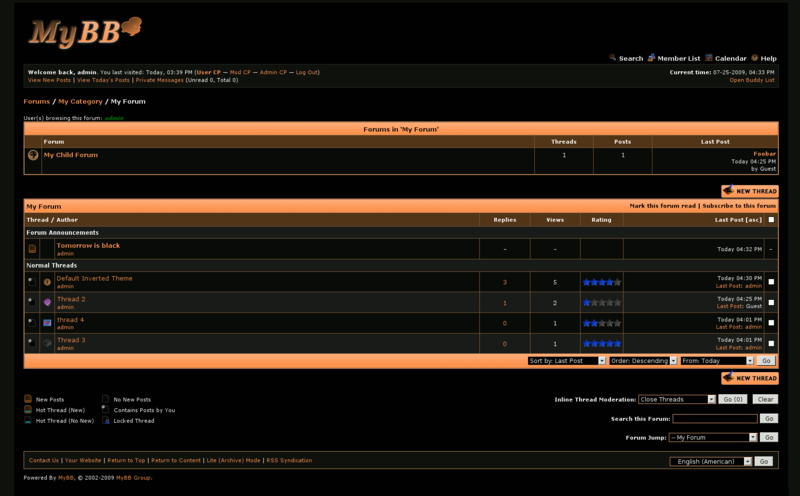 Released under the same license as MyBB (GPL-3). No additional copyright notices or template changes.